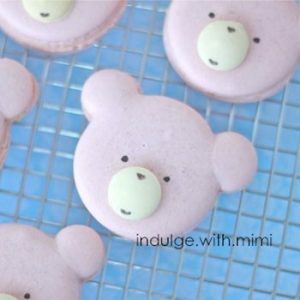 Ever since I tried Pierre Herme’s fois gras macaron during tea time at the Ritz in Hong Kong, I have wanted to make savoury macarons myself. 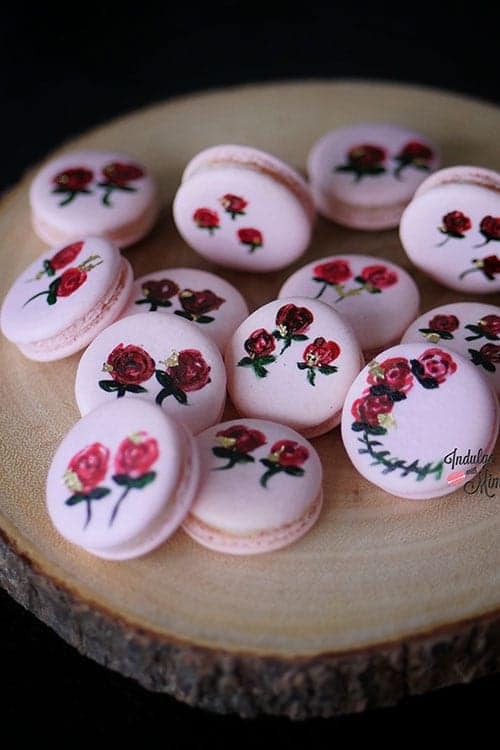 With so many sweet filling out there, a savoury macaron is one that would really excite the senses. Mind you, there are some people out there who consider offal an acquired taste so keep that in mind when serving this. 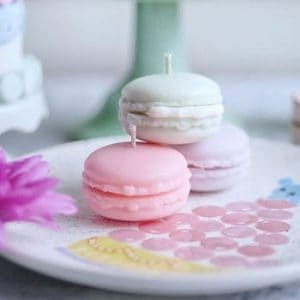 Some may also find it unnerving to bite into a beautifully sweet looking macaron only to find that the flavours are all “switched” up as it tastes salty instead. 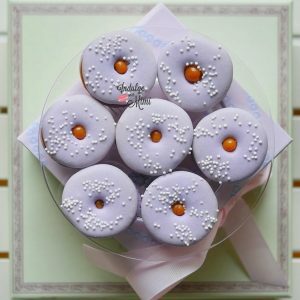 The next time I serve this, I will probably bring it out during cocktails and not at the end of the meal when most people are usually craving something sweet. Ingredient shopping for this recipe brought me to one of my favourite places – Granville Island. 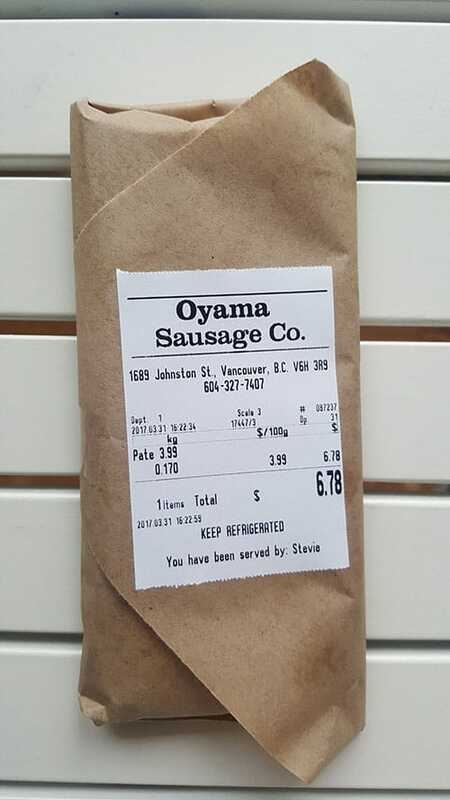 I purchased just under 200 grams of Apricot Duck Pâté from Oyama Sausage, located in the Granville Island Public Market, known for their large array of high quality pâtés and sausages. 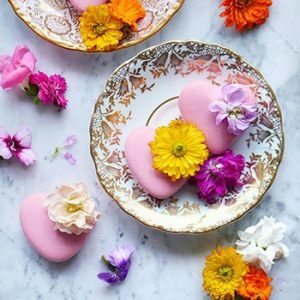 I decided on the duck apricot pâté since I had tried it before and found it to be very approachable with a subtle sweetness to it, allowing it to pair well with a sweet macaron shell and rose cream. You can use any type of pâté if you are unable to find something similar. 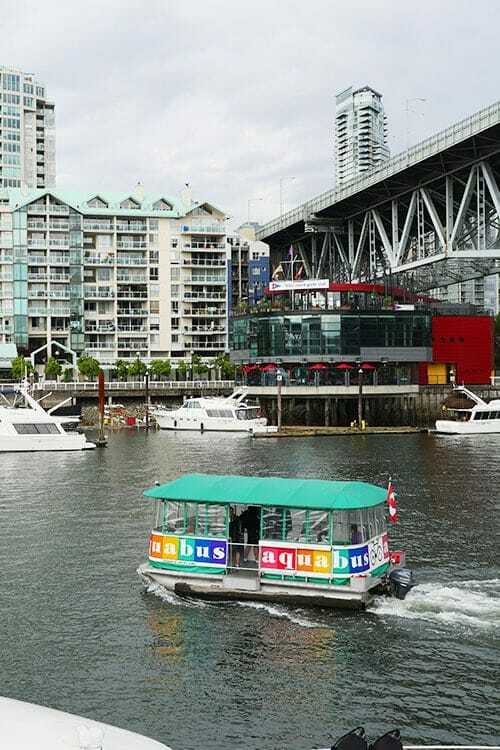 Beautiful view of False Creek from Granville Island. 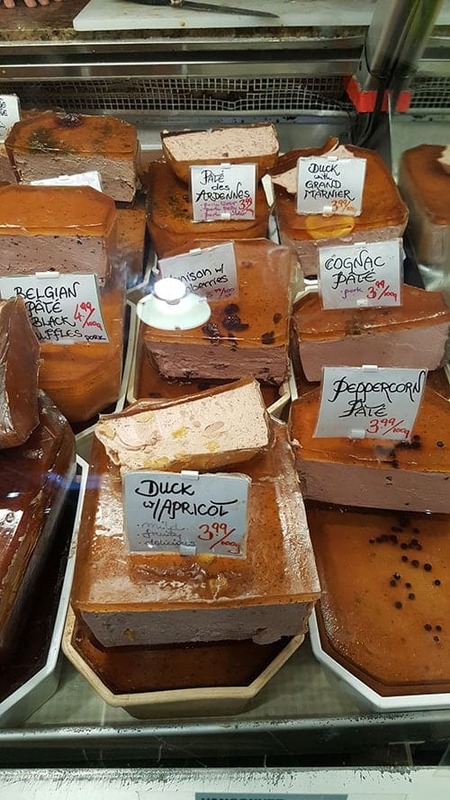 There are so many different types of pâtés at Oyama Sausage. 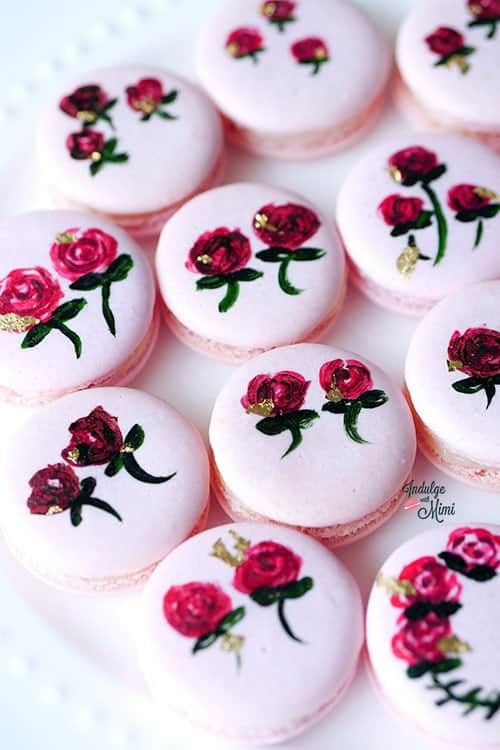 You may also recognize these macarons from my previous post – Hand Painted Macaron Tutorial – where I showed you how to paint roses onto macaron shells that can be used as wedding favors or as pretty edible art on a sweets table. 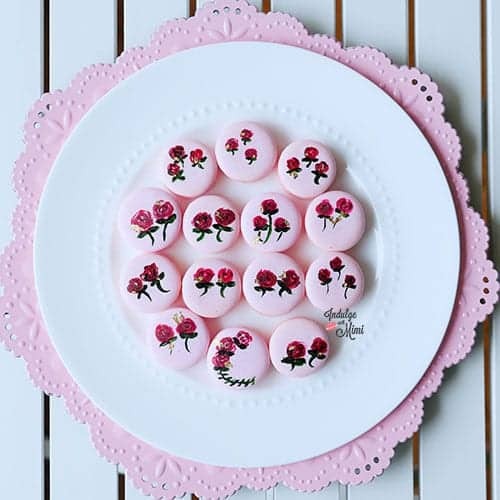 Once you’re done assembling the shells, you can try your hand at decorating them and bringing your macaron game up several notches. I hope you get a chance to make this flavour in your own kitchen. Let me know how it goes! Place granulated sugar and water in a very small sauce pan. Heat on med-high heat. 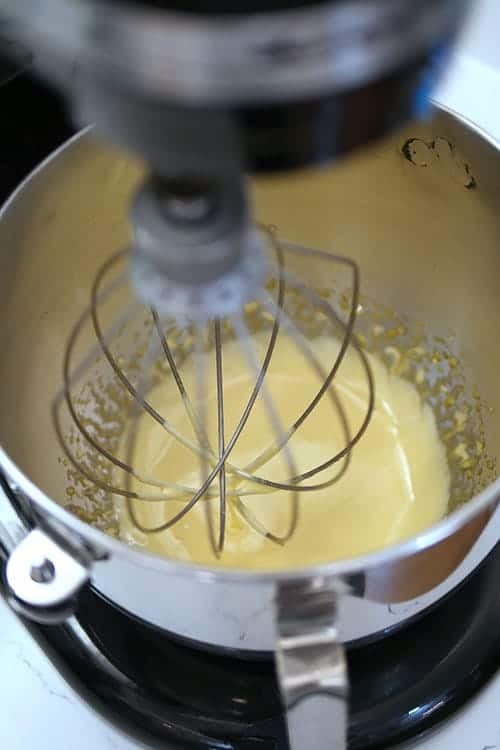 Once it reaches 225F, start beating the egg yolks in a stand mixer with the whisk attachment on med speed. It will begin to look lighter. Set the stand mixer to low speed and start pouring in the syrup from the side of the bowl. Be careful not to pour it onto the whisk since this will cause splashing and hot syrup is dangerous! Set the mixer on high speed and beat until the bowl is no longer hot when you feel it with your hands. 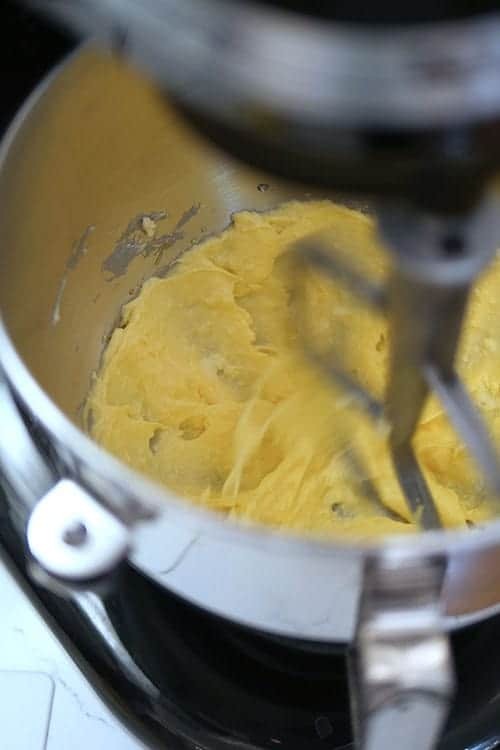 Change to the paddle attachment and add butter a little at a time and beat until it's smooth and creamy. Add rose extract and incorporate. 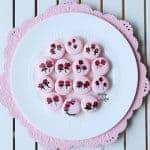 Place rose cream in a pastry bag and pipe a ring of cream around the outer edge of the macaron shell. Add a dallop of pâté in the center with a small spoon. 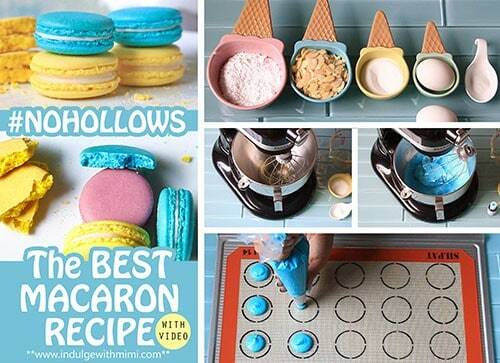 Assemble the two macaron shells together. Place in the fridge and eat after 12-24 hours. 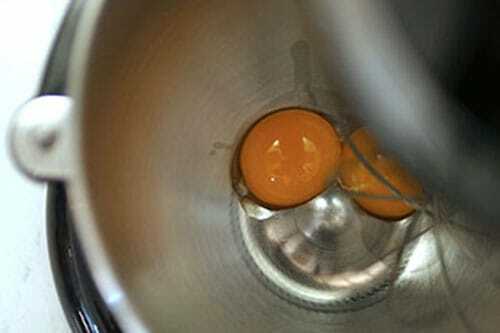 Place yolks in mixer with whisk attachment. Place sugar and water in a very small sauce pan and boil on med heat. 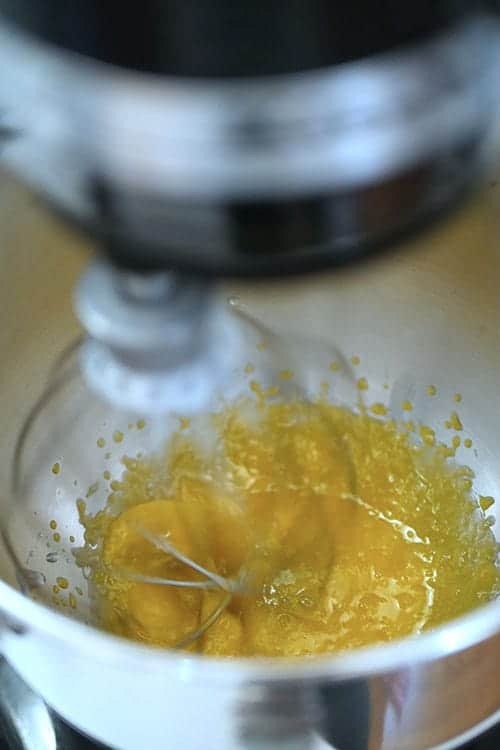 When the sugar syrup reaches 225F, start whipping the yolks. It will begin to look paler. Stop once it the outside of the bowl no longer feels hot. Change to the paddle attachment. Then add butter a little at a time. Keep beating until it all comes together and looks smooth and creamy. Add salt and rose extract and incorporate. 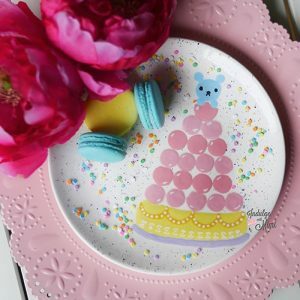 This cream along with the pâté can mature the macaron shells faster than other fillings so it can be eaten sooner. Unused pate can be wrapped tightly and kept in the freezer for up to 2 months. 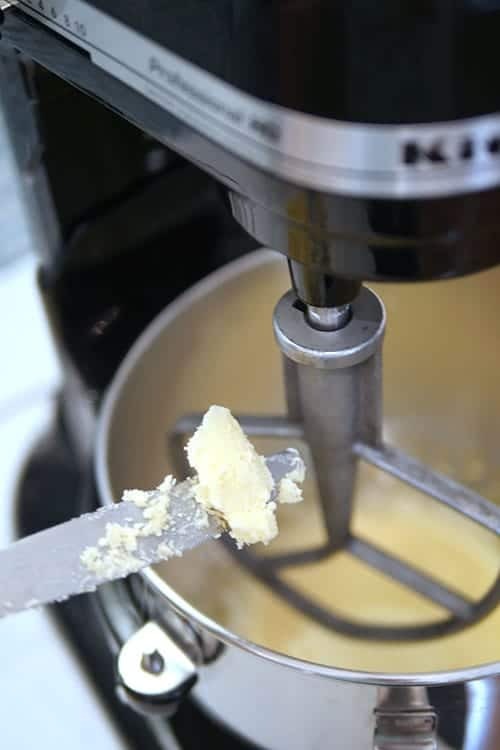 Butter can be brought to room temperature more quickly by cutting it up into small pieces and placing it in the oven with the light on. Always be careful when working with hot syrup. Keep a bowl of cold water around just in case. 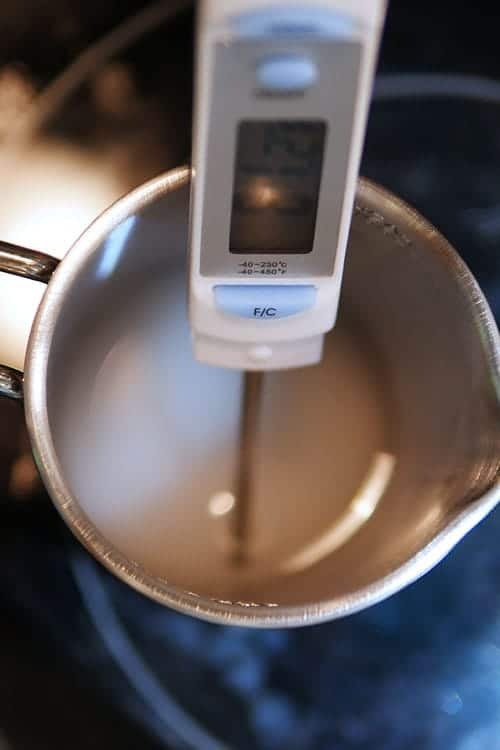 If you don’t have a thermometer, you can test the syrup by putting a drop into ice cold water. It will firm up and you can make a small soft pliable ball with it, hence the name Soft Ball Stage. You’ll also notice that the syrup bubbles up slowly unlike how vigorously it was bubbling up in the beginning.